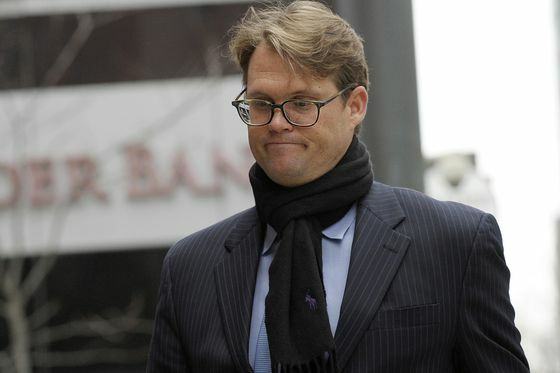 (Bloomberg) -- The surrogate test taker paid to ace college entrance exams for dozens of children of the rich pleaded guilty before a federal judge in Boston after making a deal with federal prosecutors. Mark Riddell, who pleaded to a fraud conspiracy and a money-laundering conspiracy, faces 33 to 41 months in prison. He admitted conspiring with William Rick Singer, the leader of the scam, and others from about 2011 through at least this February. Because he’s cooperating with prosecutors, he may win leniency when he’s sentenced. U.S. District Judge Nathaniel Gorton asked him on Friday afternoon to describe the crime he was accused of. “I’m being charged with conspiracy to commit fraud for cheating on the SAT and ACT,” Riddell said. Singer, who previously pleaded guilty, has admitted bribing test administrators so Riddell could take the exams in place of the students or replace their answers with his own. Riddell, who graduated from Harvard College in 2004, was typically paid $10,000 a test, usually from a charity Singer controlled, according to prosecutors. Riddell, of Palmetto, Florida, has also agreed to forfeit $239,449. The U.S. has accused 33 parents of conspiring with Singer, a college admissions strategist, to shower $25 million in bribes on Riddell, entrance exam administrators and corrupt university sports coaches and officials to get their children into Yale, Georgetown, Stanford and other exclusive schools. Singer agreed to cooperate with the government, secretly recording conversations he had with the parents to help prosecutors build their case. Riddell was good at his job. In one instance last July, he flew from Florida to a Houston testing center where Singer had an administrator working for him and took the ACT for the son of a client in his hotel room. He predicted he’d score a 35 out of 36, and did. He was involved in cheating 25 times on tests held at centers in California, Texas and Canada, starting in 2011 when he helped a student from a private Miami school cheat on the ACT, Assistant U.S. Attorney Eric Rosen told the judge. Riddell, 36, most recently worked as a college admissions counselor at IMG Academy, a Bradenton, Florida, prep school. After the charges were announced last month, IMG said he had been suspended indefinitely. It didn’t immediately return voice or email messages seeking comment about Riddell’s plea Friday. The case is U.S. v. Riddell, 19-cr-10074, U.S. District Court, District of Massachusetts (Boston).